Are you a woman-owned law firm looking to expand your network? Check out this upcoming panel discussion on how you can do business with the public sector. When: Tuesday, November 13, 2018 from 2:00 p.m. – 3:30 p.m. 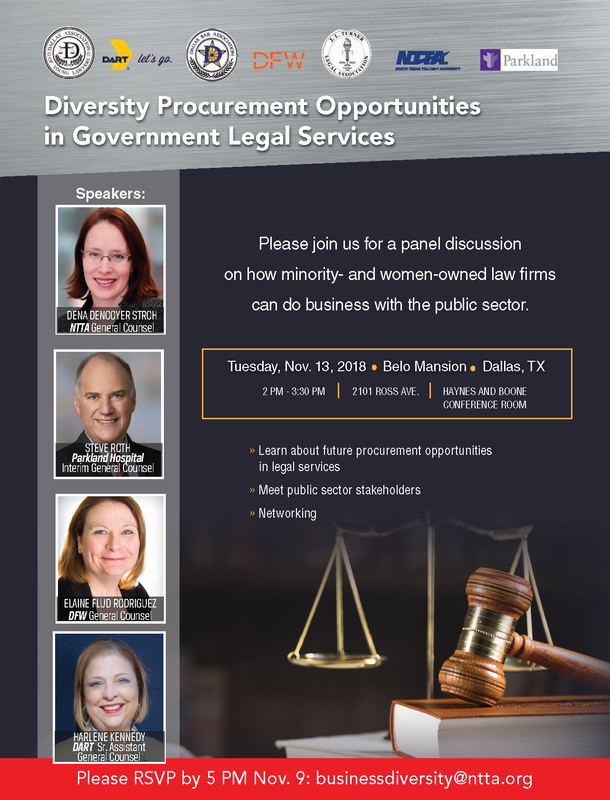 This event is hosted by The North Texas Tollway Authority (NTTA), Parkland Health & Hospital System, DFW Airport, Dallas Area Rapid Transit (DART), Dallas Bar Association, Dallas Association of Young Lawyers and J.L. Turner Legal Association.